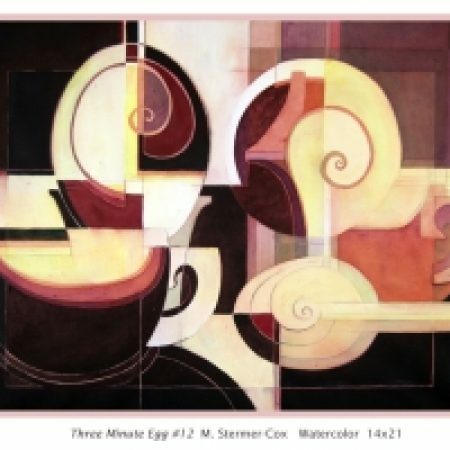 Welcome to Stermer-Cox Art Blog! Hello! Welcome to my new home for my “Margaret (Peggy) Stermer-Cox Art Blog”. Archives of previous posts are still available on Dancing Clouds. Or, you may simply ask me. Dancing Clouds is still the home of my art gallery and is updated periodically throughout the year. I thought it would be fun to share one of my paintings from my current “Just Sayin’…” series. My muse is talking on the cell phone, hand to her other ear as if to hear better. To me, this is such a typical gesture of our times. And, its fun to play with! Thank you and please come back to Stermer-Cox Art Blog! Congratulations on your move! It makes sense for branding. I LOVE LOVE LOVE this painting! Gorgeous colors and stunning composition. You ALWAYS WOW ME! Thank you Pam! Thank you for the compliment! I did have fun working on this little painting. I do think the move makes good use of the two URLs I’ve had for years. Now, I just need to make sure everybody knows I moved!